Heather Bresch, the CEO of EpiPen manufacturer Mylan, could score a $28 million payday in a couple of years if she pushes the company's profits and share price high enough. And four other top executives at the company could pocket nearly $50 million between them. 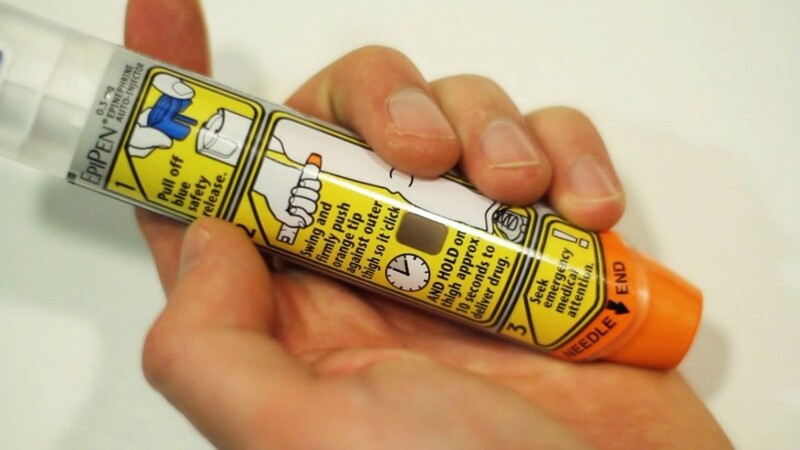 Mylan is under fire after a series of 15 price hikes over the last seven years for the lifesaving allergy treatment, which together have lifted the price 400%. 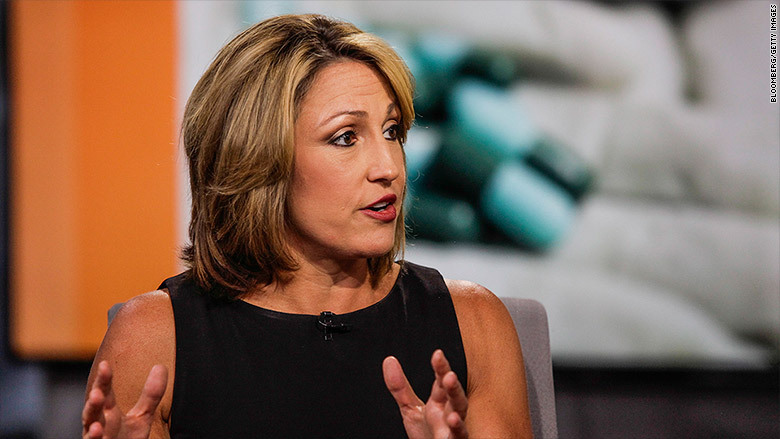 But Bresch and other top executives at Mylan (MYL) have a large financial incentive to keep pressing for higher prices and profits at the drugmaker. The company established an unusual one-time bonus plan in 2014 to get the top five executives focused on aggressively raising profits. If Mylan's profits hit the target of $6.00 per share by 2018, they're each entitled to a one-time bonus likely to be worth millions. If they miss that earnings targets, they lose out on the bonus. The stock price will also have to rise for the executives' bonus program to pay off. Bresch's bonus would be $1.4 million dollars for every dollar the stock price goes above $53.33, up to a price of $73.33. So if shares goes to $73.33 or higher, her bonus would be $28 million. But if they don't reach $53.33 -- they're currently trading at about $42 -- there's no bonus. That would be a huge windfall for Bresch, who earned $13.1 million last year. Company President Rajiv Malik could get as much as $24 million, while executive chairman Robert Coury could get $20 million and Chief Financial Officer John Sheehan is eligible for a $5 million bonus. That brings the maximum bonus for the top five execs to a total of $77 million. More than 100 lower ranking executives would also get bonuses if the targets are met. Hitting the profit target isn't a sure thing. It would represent a 40% increase from last year's annual earnings-per-share of $4.30. But it's not that much of a reach based on recent performance and current forecasts. Keep in mind that Mylan's profits rose 66% between 2012 and 2015. The price hikes for the EpiPen and other products produced a healthy gain in revenue. Wall Street analysts are forecasting earnings-per-share to rise to nearly $5.00 this year and to $5.85 in 2017. The company describes the 2014 bonus plan as "innovative," and part of its "robust pay-for-performance philosophy," designed to enhance shareholder value. A huge one-time time payout like this is unusual, said Dan Marcec. director of content at Equilar, a firm that specializes in executive compensation. Executive bonuses tied to various performance targets are common at almost all public companies, he said, but "it's unusual to have one large goal tied to one single metric like this. When you have that large an award, there's going to be a laser focus on that one part of the business."